After a weekend of vicious attacks from within her own ranks, the prime minister rallied her troops in one-and-a-half hour conference call on Sunday night. Esther McVey, the Work and Pensions Secretary, is thought to have told Mrs May she was “devastated” by her plans to extend the Brexit transition period in a bid to strike a deal with the EU. While Home Secretary Sajid Javid directly asked the prime minister whether she had “explicitly threatened the EU with no deal”. More than a dozen ministers were involved in the last minute call last night, some of whom were given less than 15 minutes notice before, according to the Daily Telegraph. 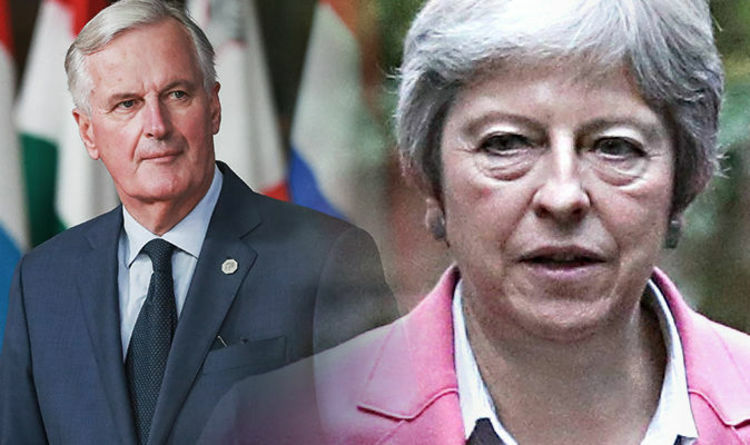 While Theresa May contacted a smaller group of ministers on Saturday, who claim they were still left unconvinced by the prime minister’s plans. It comes at the start of another difficult week for Mrs May who will today issue a rallying call to her MPs to get behind her as she insists the Brexit deal is 95 percent complete. In a Commons statement after talks with EU leaders in Brussels, she is to say the “shape of the deal across the vast majority” of the withdrawal agreement is now clear. Mrs May will tell the Commons that “taking all of this together, 95 percent of the withdrawal agreement and its protocols are now settled”. The EU is planning to scrap the annual hour change in April 2019, a month after Brexit, according to a committee in the House of Lords. Mr Raab said it would allow new laws to be put in place in time for exit day. He suggested a transition extension could run for three months, but said the move would have to “solve” the Irish backstop issue. 8.21am update: Senior Brexiteer Theresa Villiers has attacked claims Theresa May is entering the “killing zone”.